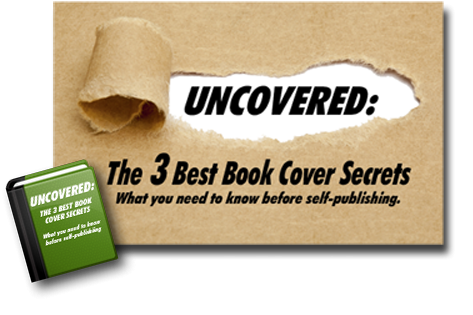 Should You Offer A Print Version Of Your Self-Published Book? Price: E-book prices are considerably lower than print book prices. If you price your e-book too high, you’ll lose out on sales; conversely, if you offer a print copy of your self-published novel and set the price too low, you’ll jeopardize your royalties. Carefully determine the best target selling price to ensure that your book’s format doesn’t negatively impact your chances of success. Demand: If you’re a niche genre writer, then self-publishing is already a great choice for you—but you can delve even deeper into the marketability of your book’s genre by doing a little research into the sales breakdown of e-books vs. print books of works that are similar to your own. If the market seems flooded with e-books that are very close to what you’ve written, but there are fewer print versions of books in that genre, then you can take advantage of this untapped market by publishing in print. On the other hand, if e-books are lacking in your genre, stick with digital copies. Promotion: If you’ve booked any promotional events, such as readings or festivals, or if you’re planning to promote your self-published book at face-to-face events, then you’ll want to have print copies of your novel or memoir available for sale. When you’ve created pent-up demand at a reading, you don’t want to then attempt to redirect your eager-to-buy audience to your website or Amazon page in order to purchase an e-book. You’ll lose all the point-of-purchase momentum you built while you were speaking. But with a stack of books nearby—and a pen ready to sign copies, of course—you’ll be able to start making sales as soon as the reading is over. Readers: Ultimately, you want your book to appeal to the people who are going to read it—so if you’ve been building your author platform even before your book is published, check in with your fans about which book formats they prefer. Not only will you learn whether more of your fan base prefers e-books or print copies, but you may also gain some insight into why readers prefer these formats, which can help you make the best decision when you self-publish your book. Stores and Libraries: Whether you’re traditionally published or self-published, all authors dream of one day walking into a bookstore or library and seeing their books prominently displayed. Getting your self-published book stocked in a bookstore can be a tough task, but if one of your goals is to contact local libraries and shops to see if they’ll carry your book, then offering print copies is a definite must. One of the greatest benefits of self-publishing is that the entire experience is customizable, and you can confidently publish your book according to your own personal goals, without having to compromise with a publisher or editor. The decision to offer print copies or e-book depends mostly upon your unique situation as an author, as well as your future plans with your book. And if you really can’t choose between the two, there’s no need to panic—just self-publish your book in both print and e-book versions! Question: Would you rather publish your first book as an e-book or as a print copy? One Response to Should You Offer A Print Version Of Your Self-Published Book?